We make all our blinds to your exact specifications, with every product we supply being given a comprehensive quality control check before we visit your home for fitting. Our blinds can be designed for any room in your home, from moisture resistant bathroom blinds to perfect fit conservatory blinds, our extensive range of materials, fabrics, and colours allows us to provide you with custom made blinds regardless of size or style. Whether you prefer a cool contemporary window blind or a classic designed blind, we have something to suit your personal taste and style. As a window blind supplier and installer we strive to provide our clients with the highest quality product available. All our products are made in the United Kingdom by only the top manufactures in the industry. We always ensure that you fully understand the entire process of choosing your blinds, allowing you to make an informed choice at all times. Vertical Blinds: Our Vertical blinds combine practicality, easy maintenance and unbeatable cost for your home or business. Select your length, colour or design and fabric for a blind that looks good in any room. Ideal for commercial use such as dental and medical centers to conservatories for the home. These blinds offer excellent light control. Roller Blinds: Experience greater privacy and light control with our best selling roller blinds. Perfect for any room in your home, these blinds can be fitted in kitchens and bathrooms with moisture resistant and fire retardant fabrics. 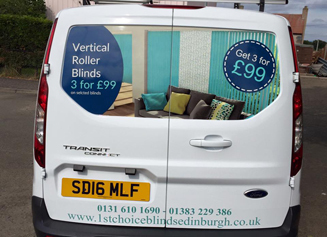 Select from our range of radiant colours and prints or have your personal design digitally printed for a truly unique blind. We also supply and fit blackout blinds. Venetian Blinds: Call 1st Choice Blinds for stunning yet practical Venetian blinds that provide lots of flexibility for any window or door in your home or office. We can manufacture to your personal requirements with over 180 colours and various fabrics and finishes to choose from. Perfect Fit Blinds: If you require blinds for UPVC windows or doors, Velux Roof windows or anywhere you cannot fix normal blinds then our perfect fit options are ideal for you. These blinds fit perfectly to your windows by using a special channel. They produce a low profile and tidy finish thats easy to maintain and clean. Conservatory Blinds: We are experts at supplying and fitting conservatory blinds. Our Perfect Fit Blinds are an ideal choice for conservatories fitted with UPVC windows. Commercial Blinds: Have your company logo digitally printed on your blinds to produce a unique branding experience. 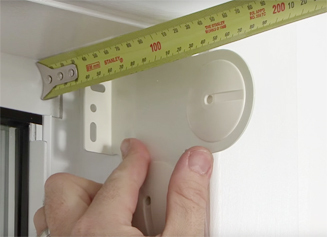 Fitting, measurements, and consultations: Contact our team today for a free window measurement and quotation.